With dive comps on the rise, let the pros show you how to use Tracer and Genji properly. 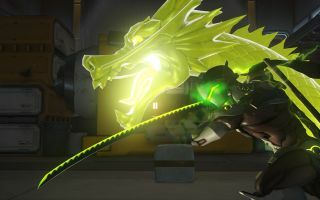 Over the last few weeks we’ve discussed how the current Overwatch meta has been on the fast and furious side, along with some ways of defending against it. Today we’ll lace up our boots and look at how to pick apart enemy flanks. Flanking can be an exhilarating affair, but it’s not for the slow-witted. The level of skill and execution needed is much higher than other tactical options due to the importance of speed and precision. That also means that the high risks you must take will often yield high rewards, making the successful flanker invaluable to his or her team. To better illustrate these points, we will examine Rogue’s new and improved strategic approach from Alienware Monthly Melee, along with some amazing plays by flex DPS stars Nico and Soon. Don’t you just love it when a stalwart Tracer marches up with Zarya over and over again, Pulse Pistols echoing through the streets of King’s Row while your team accomplishes nothing? Or how about that Genji who can poke away at the enemy Reinhardt shield with animalistic ferocity from a comfy perch next to his healers? As valuable as they might think they’re being, that’s not the correct way to play those characters for any length of time. Solid fundamentals for flanking loadouts and characters in every FPS require two things: be evasive, and, above all else, cause chaos. Soon blinks right into the enemy defenses and forces a Zarya shield with a pulse bomb, then wraps back around to burn down a helpless Reinhardt with the help of Nico. Knoxx even does his part by jumping in to continue the harassment so that Faze never get a moment’s peace. The synchronized barrage and sound barrier clean things up. In such a pivotal section of Dorado, Rogue maximized the effectiveness of their dive composition by splitting the attention of Faze and punishing their indecision. Shadowburn is a master Genji himself, and even though it’s obvious he’s waiting for Nico, his hook is deflected and Nico goes off with a Dragonblade which opens the door for the rest of his team to get some easy picks. Though we can theorycraft until the sun comes up, it’s not hard to see how the improved Bastion could make that situation insufferable. Again, it’s all food for thought at this point, but it’s difficult to look at the changes we’ve been dealt without assuming we’re in for yet another meta shift. In any case, strong flanking will always be key to dive compositions, so practice up and get ready to deflect a whole lot of Bastion fire or drop some key pulse bombs. Whatever you do, be a team player and refrain from Reaper tanking. It wasn’t a thing before, and it’s not a thing now.